Had a very successful time down there, checked out a great venture at West Bay in a stunning building. I'm hopeful it will become a new and exciting extension to the ArtPix Empire! Of course we managed a bit of vintiquing along the way! At the marvellous Art and Antiques Quarter at the St Michael's Trading Estate and at Molly's Den both in Bridport. More news later in the year on all this.....! Now for a few Dorset pix! Dogs having a great time on the beach at wild West Bay! 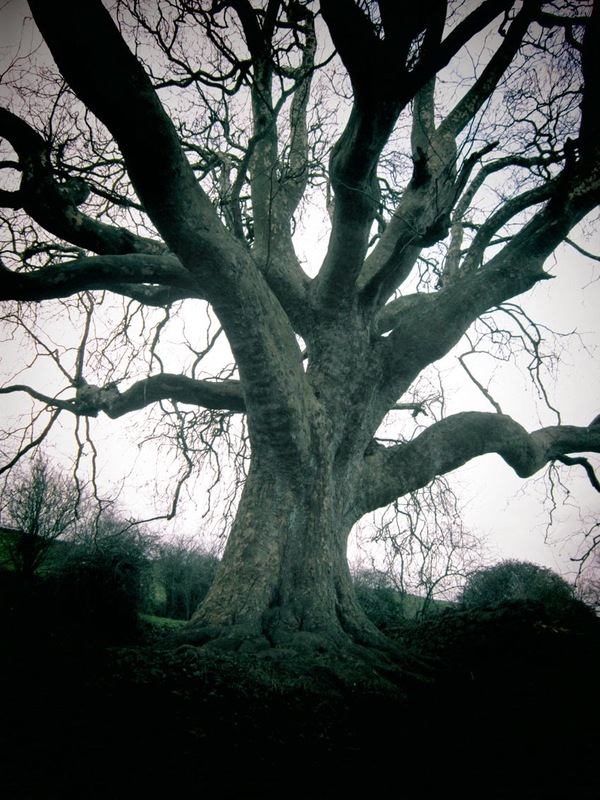 My favourite tree in Dorset, at the foot of St Catherine's Chapel in Abbotsbury. Reputedly planted by monks 300 years ago. 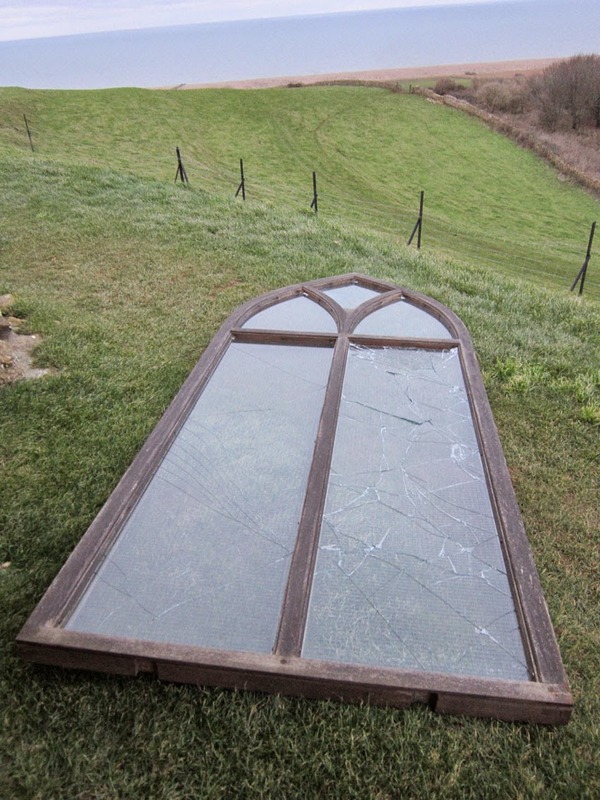 Dramatic scenes at the chapel, a window has fallen out!!! 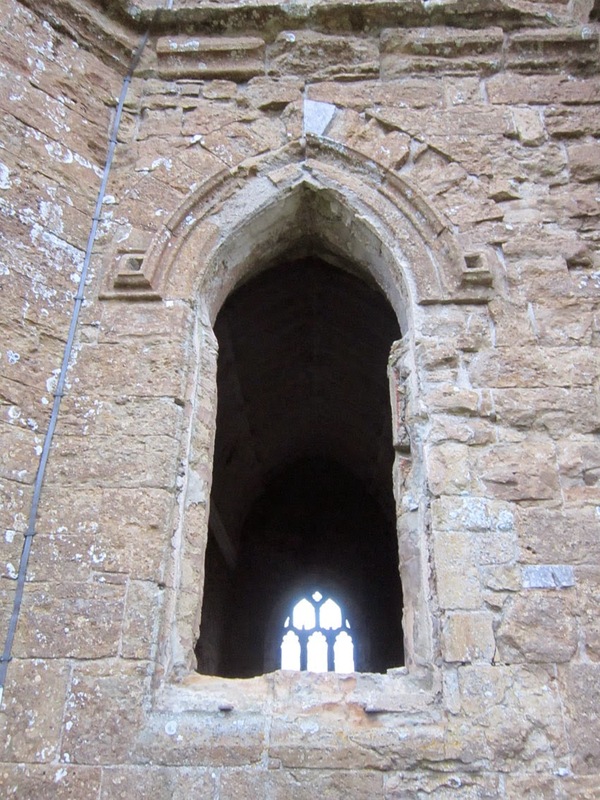 The poor window now forlornly looking out to sea! 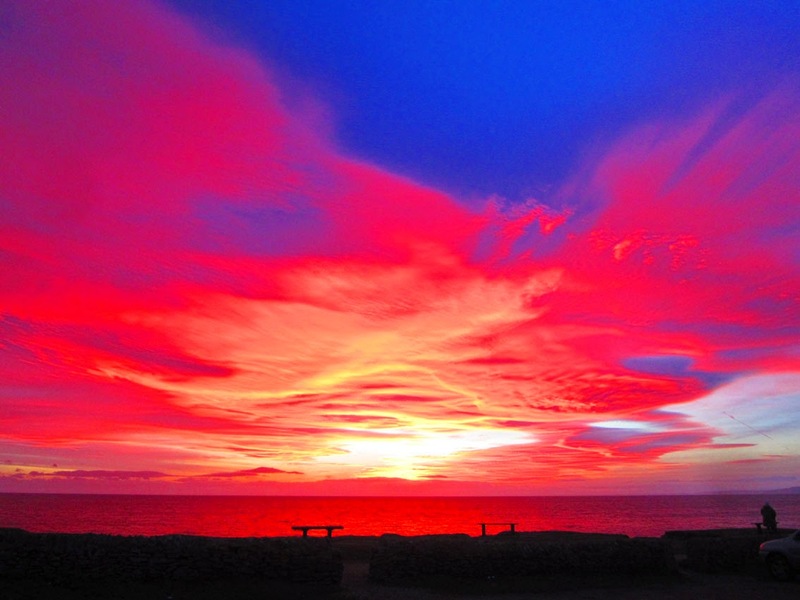 Unbelievable sunset at Burton Bradstock, WOW! 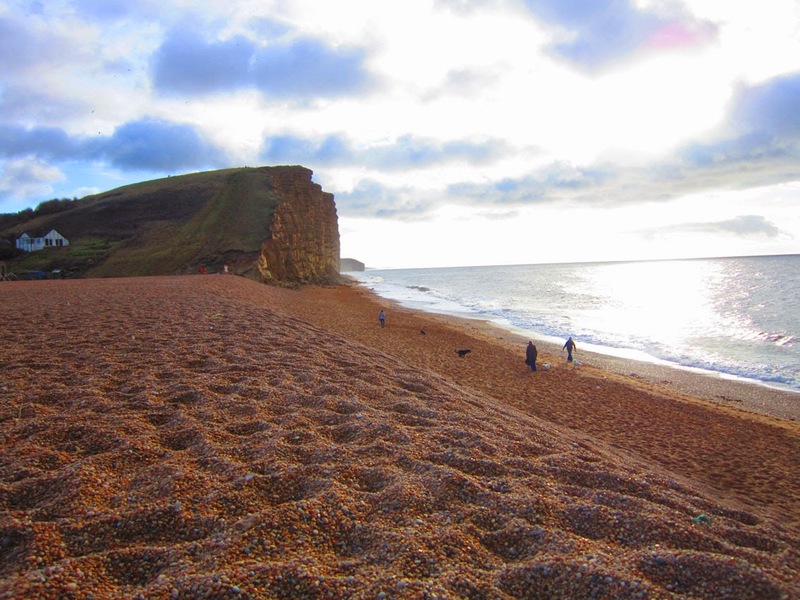 The combined forces of Matt ArtPix and Arcane Publications are on a business trip to West Bay. There is an exciting new venture down there and we are booked in for a meeting on Monday morning! 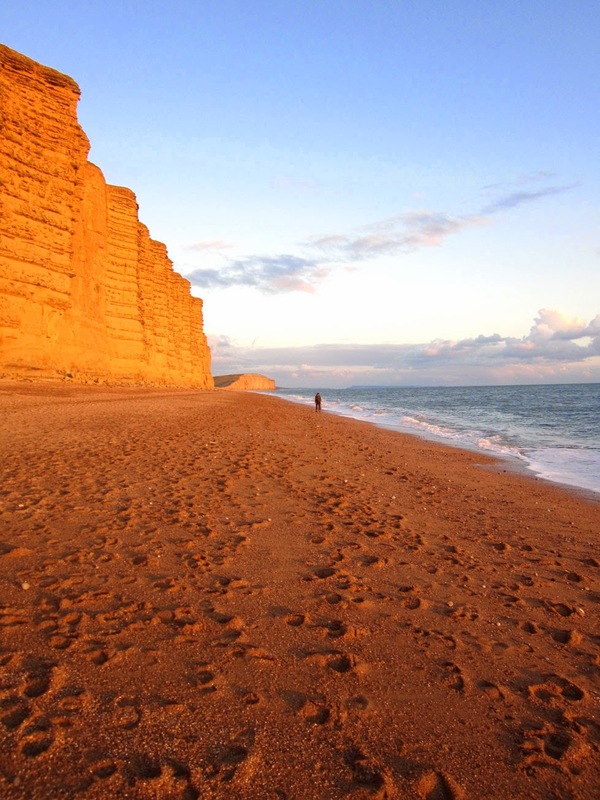 An excuse to show a pic of an amazing sunset at West Bay! On our return I'll be back to work on all sorts of projects I've got on the go. One of them is an amazing book I've been asked to design and typeset. Also, I've finally finished hunting around and scanning images for my retro NEWCASTLE UNITED collage. 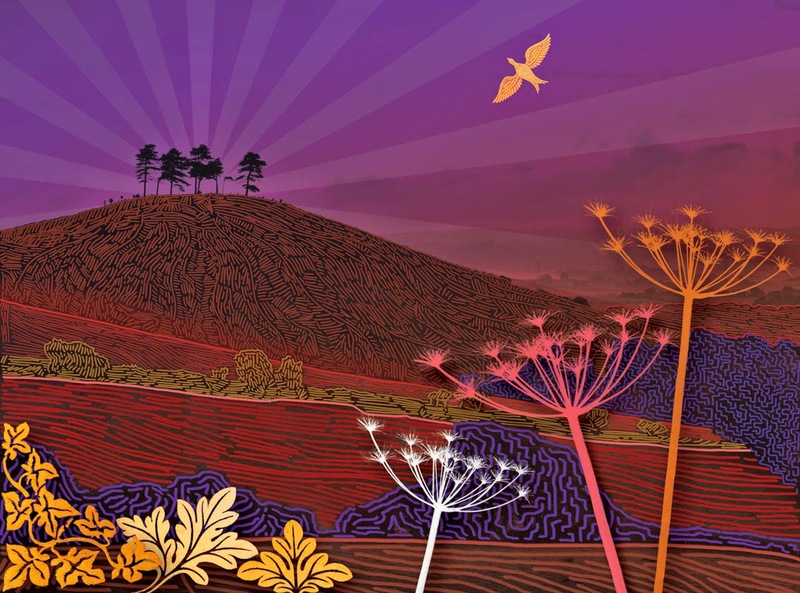 And I've been finding suitable pictures of Dorset to work with after the success of my COLMER'S HILL artwork. 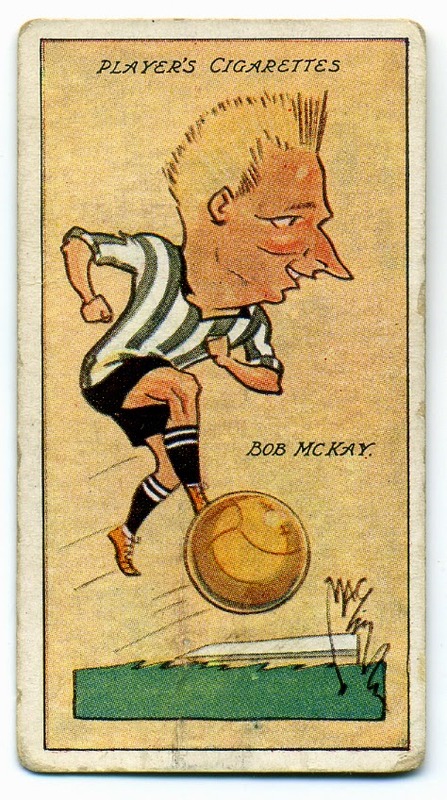 Fantastic 1920s cigarette card of Newcastle's Bob McKay, that will feature on my retro collage. So lots of things to keep me busy as always!! Last year's Blood Swept Lands and Seas of Red poppy display at the Tower of London was one of most poignant and significant events of the First World War centenary so far. I was one of the lucky ones who received their ceramic poppy from the installation within a week of it being dismantled. Some are still waiting for their poppy to arrive. Since then I'd wanted to display it in an appropriate and symbolic way. So I decided to find a piece of Trench Art from the First World War. A shell case that would be perfect as a vase. Of course now everyone is interested in the Great War, original artifacts are becoming harder and harder to find. But I had a stroke of luck when I discovered the perfect one in a shop in Leigh-on-Sea. The brilliant little shop, MARINE MARINERS - Maritime Collectables, at 139 Leigh Road. This shop is a fabulous treasure trove of naval and maritime antique items. And fortunately for me they had a bit of land-based history tucked away on the shelf! Trench Art is a side product of the horror of the trenches. Many brass and metal items, found lying around, were shaped into decorative and imaginative designs and objects by soldiers either behind the lines in workshops or when at rest. 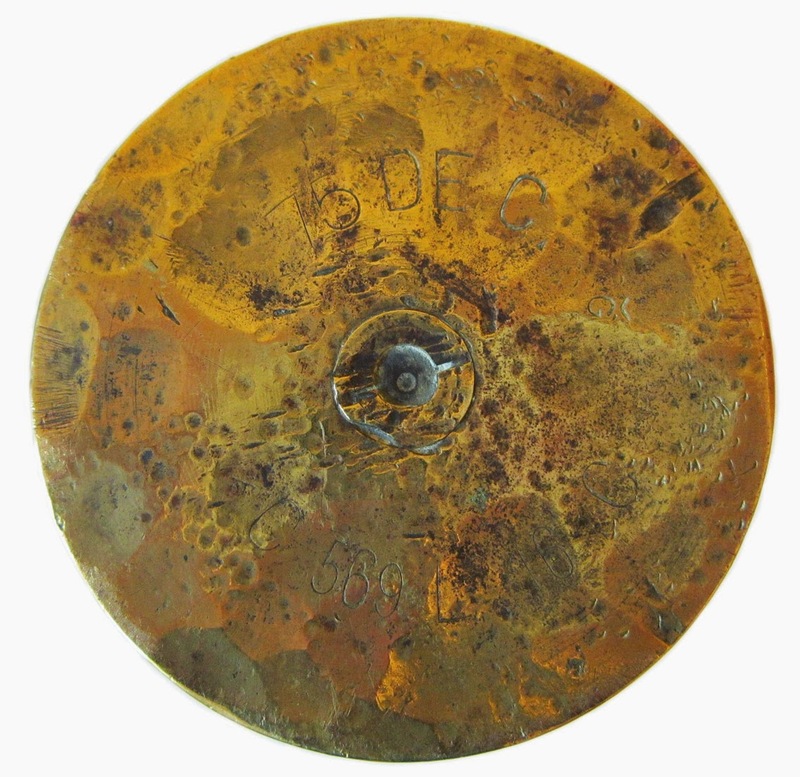 This particularly fine example is a French 75mm shell, from the famous French 75mm Field Gun. 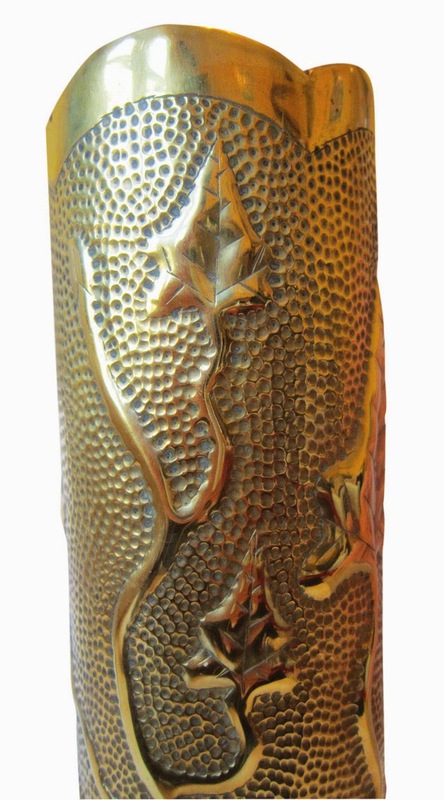 Made in 1916, it has gorgeous Art Nouveau style vine leaves, and an intricate dotted background. The floral theme I thought would compliment the poppy really well. The French shell case makes the perfect vase! 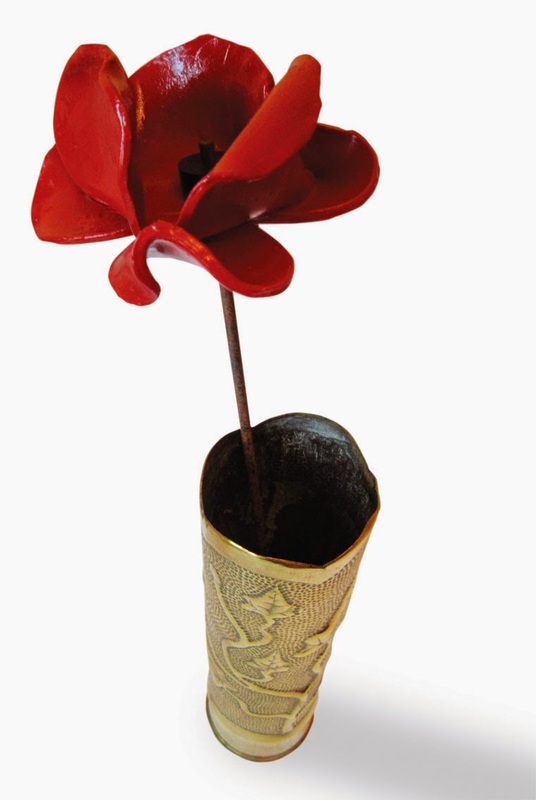 This shows the beautifully crafted ceramic poppy, one of 888,246 made. A closer look at the stunning intricacy of the work. The markings at the bottom of the shell, clearly showing the 75 DEC, standing for 75mm Canon de Campagne. More TV themed tomfoolery for you!!! 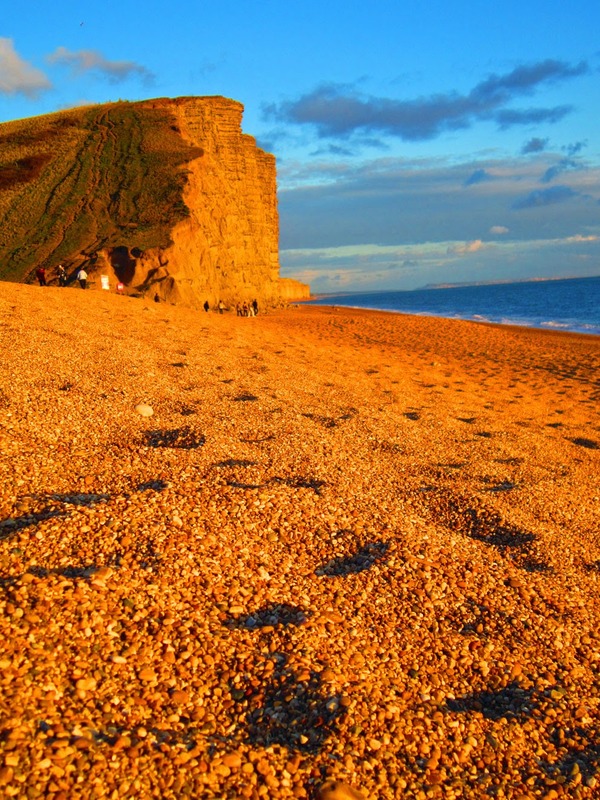 Of course the programme is famously set in Dorset's lovely harbour West Bay, with its magnificent red sand cliffs. But not a lot else is shot there...! 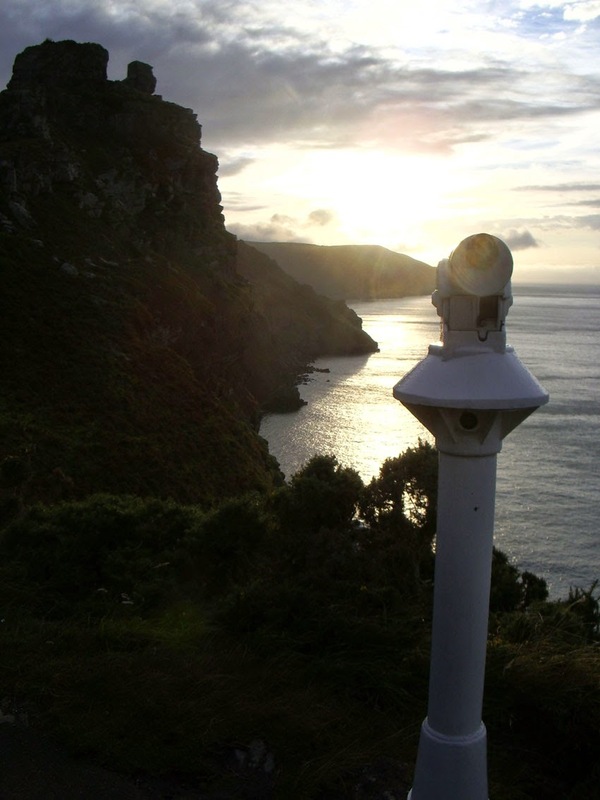 One of the locations I know very well, THE VALLEY OF THE ROCKS on the north coast of Devon. A stunning rock outcrop, perched on the cliff edge, that has its own special goats and even a cricket pitch!! 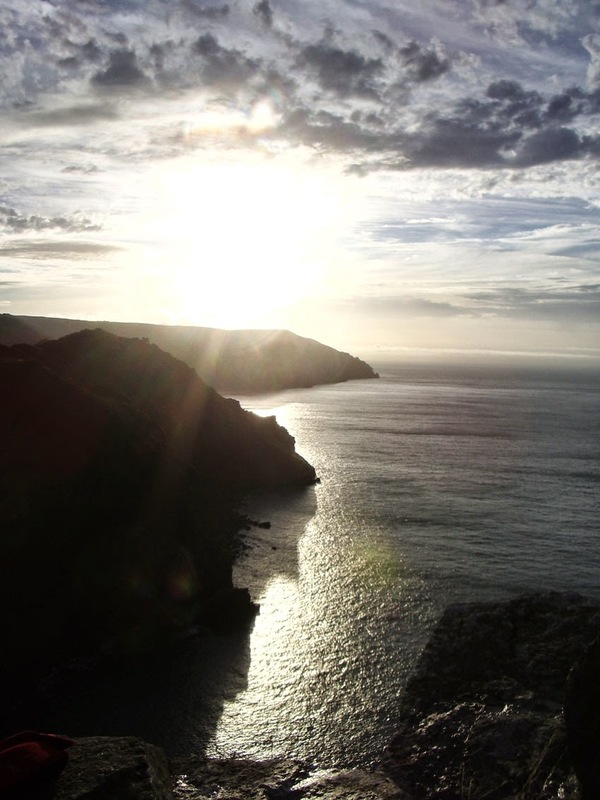 Looking back along the coast from The Valley of the Rocks. 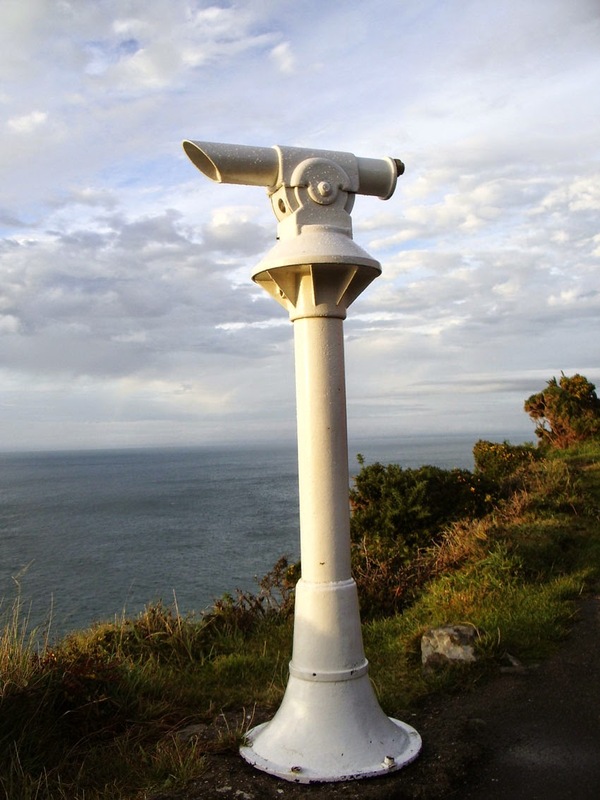 Fantastic telescopic viewer, right on the cliff edge. Looking up at the looming Castle Rock. 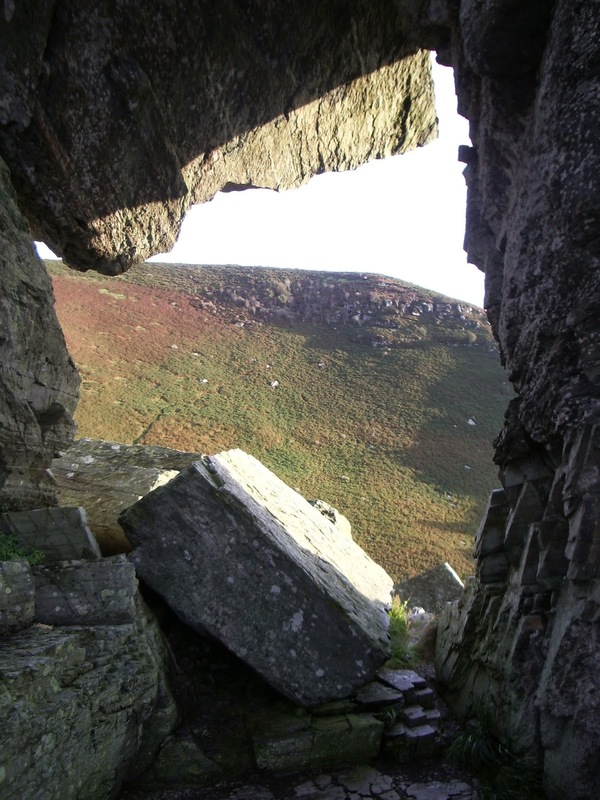 Amazing rock formations at the top of Castle Rock. 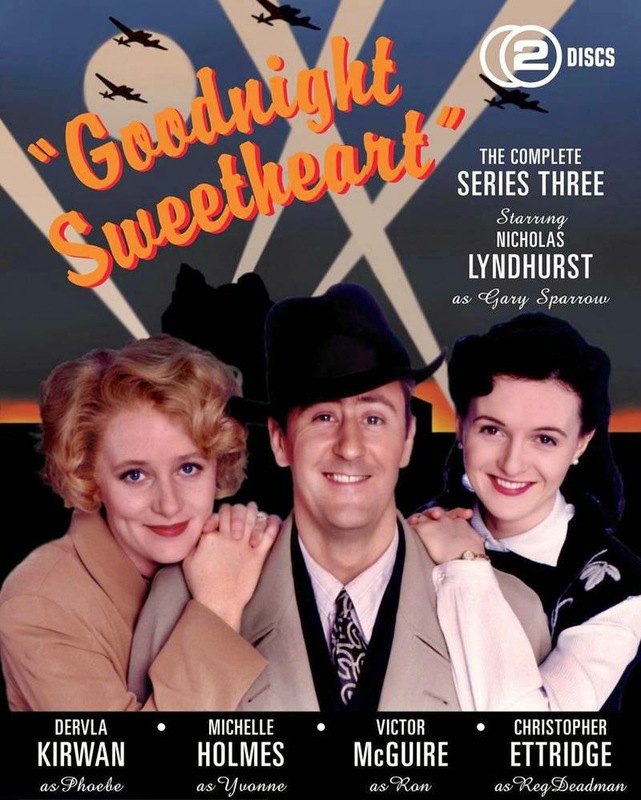 While skimming through Virgin Media's TV on Demand the other day, I came across the series GOODNIGHT SWEETHEART. This slightly neglected sit-com starred Nicholas Lyndhurst and Dervla Kirwan and features a time-travelling TV repair man! Named after the famous Al Bowlly song, the idea of the programme was that the main character Gary Sparrow, played by Lyndhurst, could literally walk back in time. In the first episode, while looking for a building, he walks down an alleyway and unwittingly goes through a time portal to the year 1940. Although it's a light-hearted comedy, at times it's a rather poignant programme. Seeing how Gary adapts to wartime London, which seems an alien world at first, is very interesting. Also, the characters from the 40s treat him with great suspicion, presuming he's a spy! The attention to detail is expectional and you get a real sense of the era. 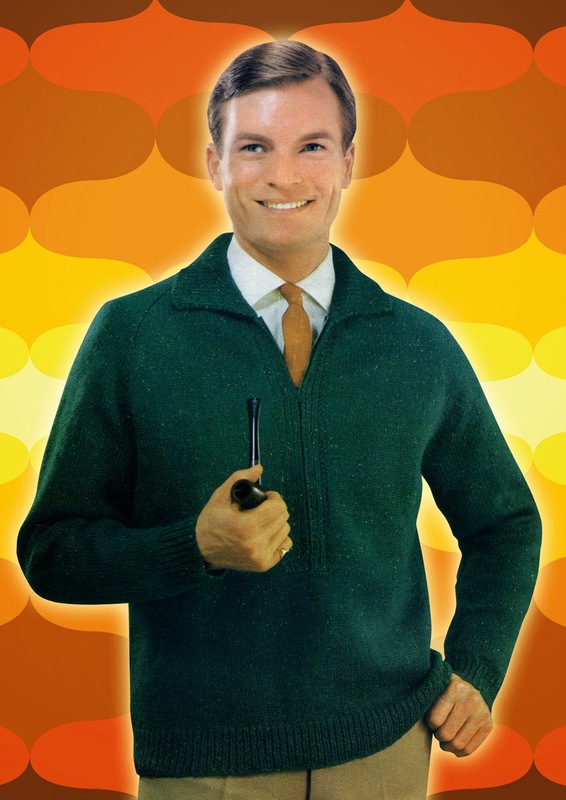 As Gary starts to grow fonder of the barmaid Phoebe at The Royal Oak pub, he starts to lead a double life. This is where the writers found many clever tools to play with the time-travel theme. Of course there was heavy rationing at the time, so Gary would bring along chocolate, tea and coffee from his modern life back to 1940 to impress Phoebe. He would research the period day by day in books and so go back to tell people what was going to happen. At one time warning of a particularly heavy air raid about to happen that night. This gave him the cover story that he was working in the intelligence services and access to the American Embassy. The funniest one however, was how he would sing and play modern and classic pop songs, and say he'd written them. Often quoting lines from them in conversation! The programme first aired in 1993, so ironically this now seems a far off era as well! The pre-internet days would seem an alien world to younger people now. The clothes, cars and even the wallpaper give you a glimpse back to the tastes of 20 years ago. I remember later in the series, Gary opens up a shop in his 1990s world selling wartime items that he would bring back from his time travels! What a brilliant idea, if only I could do that!! If you fancy doing a spot of time-travelling yourself, have a look at my DAZZLING DECADES series. 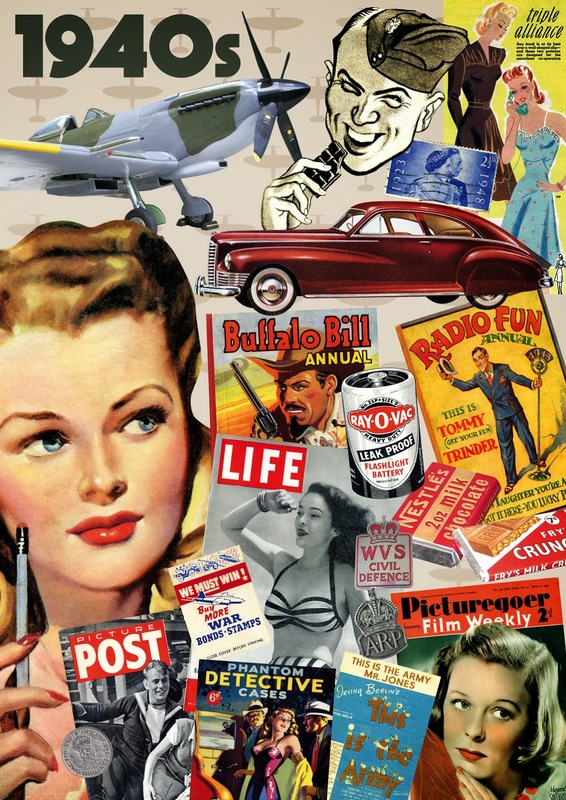 Especially my FIGHTING FORTIES collage dedicated to the 1940s, which has loads of original 40s items. Here is the FIGHTING FORTIES, created using my own 40s items, apart from the Spitfire of course!! Had a super day at the SO VINTAGE LONDON fair yesterday at Old Spitalfields Market! Was a great way to start 2015 and thanks to all those who braved the rain and cold to come along! I've got a few exciting projects that I'll start working on in January and February, so my next date there will on the 7th March, remember to keep that date free and see you there!! Toodle pip for now and keep in touch! I'll be at the SO VINTAGE LONDON fair at OLD SPITALFIELDS MARKET tomorrow for my first fair of 2015!! 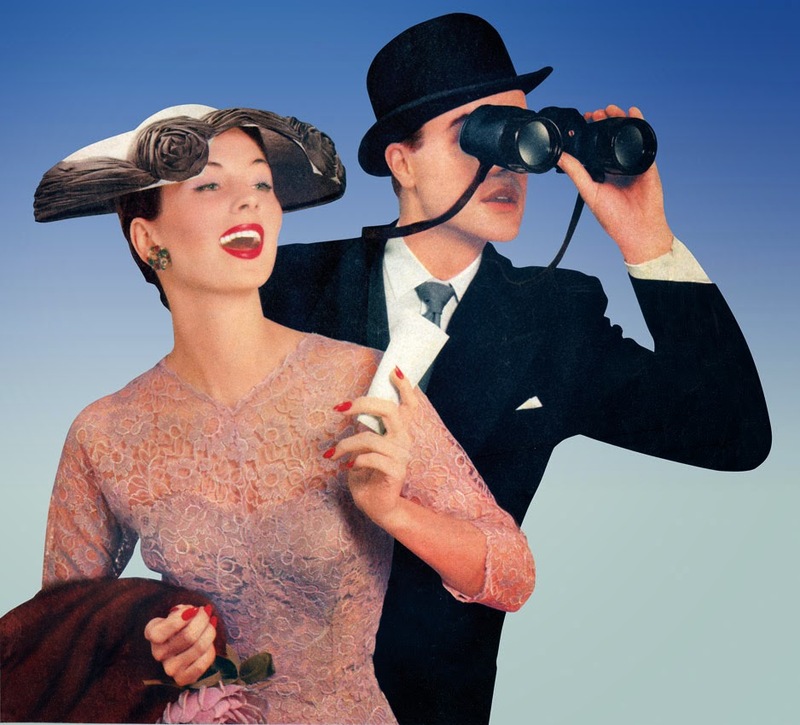 Come along for a fantastic vintage day at the iconic London market! I'll have my usual stand packed with goodies, and alongside me will be the fabulous CARYA GISH of ARCANE PUBLISHING! For the first time at Old Spitalfields, she'll have her brand new novel THE BOOK OF THOTH on sale. Another reason to run along tomorrow! Kick off is at 11am until 5pm, admission is absolutely FREE! So come and check us out, see you there! !